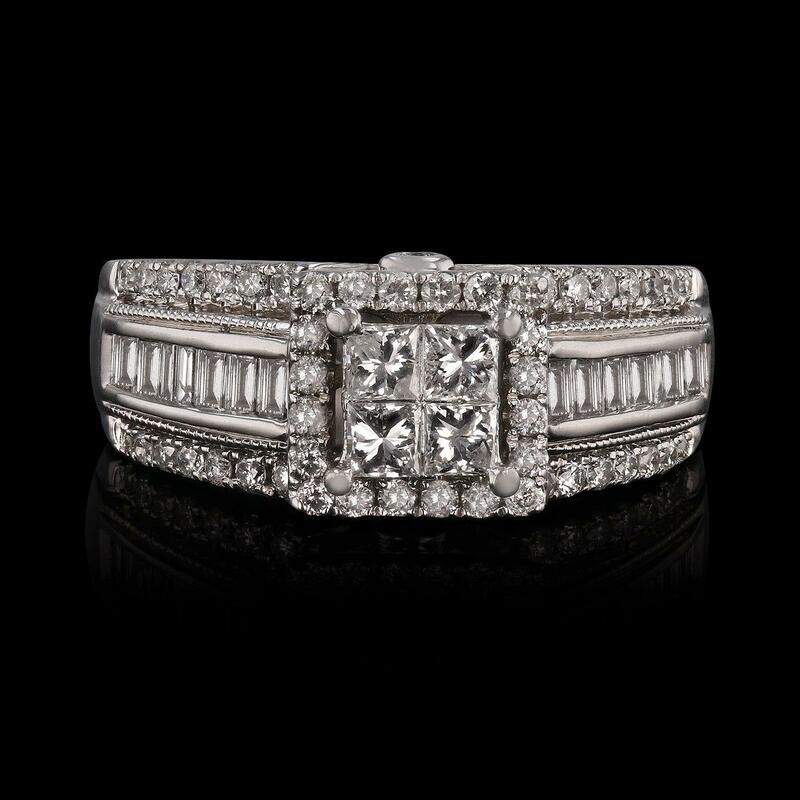 At the center Sixteen (4) Princess cut natural diamonds set into invisible prongs head and measure an average of 2.40MM. The estimated weight of the diamonds is based on volumetric formula are 0.32 Ct.Tw. The ring features Sixteen (16) Baguettes cut natural diamonds set into channel head measure an average of 2.00MM. The estimated weight of the diamonds is based on volumetric formula are 0.40 Ct.Tw. Fifty (50) Round brilliant cut diamonds set into prongs and bezel heads and measure an average diameter of 1.30MM. The estimated weight of the diamonds is based on volumetric formula are 0.47 Ct.Tw.